So this is explicitly stated. Now I’ve found a series on the internet on YouTube by a pastor whom I had held in high esteem for many years – ever since you know the whole alternative patriot radio started in the 90s, because this guy was right in there and he pastors his own Baptist church in Florida which I will leave unnamed. He started here just recently to post a series on The Error of Historicism. Yeah, and it’s quite a series, I’ve been having some fairly lively debate with him on his YouTube channel and I can’t seem to get through to the guy. I’d been meaning to cover this topic for quite a while. I love to get on the air and I love to debate on YouTube with people like this so that it can hone my debate skills for one thing and as well, the scripture tells us to be ready to give an answer for everyone about the hope that we have in Christ, and part of my hope is dependent on the promises of God, and all of the promises of God that I am most interested in are yet future, so therefore prophetic. So I’m very interested in the prophetic word of God, my hope is not in this life on this side of the grave because I know the end of it, that it’s the grave. You know that’s when you forfeit all of your property rights, everything you’ve earned in this life, and you forfeit it all. So what happens next depends on the decisions you make now, because this mortal life is the only time you get to respond to the gospel: “repent for the kingdom is at hand.” We need to change our mind about what we treasure and make sure that our treasure is in accordance with the kingdom of God, and that our treasure is eternal and lies on the other side of the grave. Anyway back to our scripture verse here: so Ezekiel is given a prophecy and he’s built a little setup as he’s instructed in the prophecy and he’s given a day/year prophecy and it is explicitly stated here. Now this is the only place that I have been able to find in a prophecy where it says, “I have appointed thee each day for a year” God tells him to demonstrate something by a certain number of days on one side and then on the other one: for the house of Israel which was three hundred and ninety days you shall bear the iniquity of the house of Israel, and then he says, and when you have accomplished them lie again on the right side now shalt bear the iniquity of the house of Judah forty days, I have appointed thee each day for a year. So we have an explicit day year interpretation. Now what does this explicit day year interpretation that we see here in Ezekiel open up for us? Well we have to consider when we see prophecies given in days, we have to consider that they might be a day for year prophecy. But again we also have to consider that they might not be. Okay, so how do we determine what is a day year prophecy and what is not? Now for instance we can go into history and determine if we have any examples where a day year prophecy was given, but it was not explicit, but we saw it play out in history on a day year scale. So we can look at that and try to determine how did God tell us in that prophecy that it was to be interpreted as a day for a year rather than as it explicitly stated as a day? 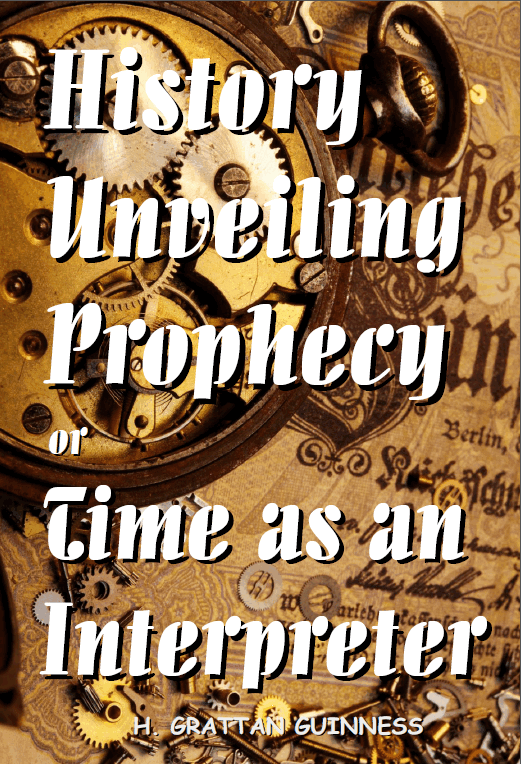 There must be a clue in the prophecy somehow, so that we know when we come across like prophecies that may be interpreted both ways, that we might be able to determine whether something should be a day for a year or not. This is something that I’ve been pondering and contemplating for many years and some of my recent debate with this Baptist who seems to really hate Protestant and Reformation thought for some reason that I don’t know, it gives me a really bad feeling. I mean he probably wouldn’t say that he hates it, but boy the way he comes against it and it accuses me of being believing the “Protestant lie of Historicism”, and I’m like, wow! I mean that that sounds very Jesuitical to me, because I know that the Jesuits hate Protestant Historicism – but I’m not ready to make that accusation yet – I’m hoping that he’s just deluded and sadly mistaken. Because the scripture does say that we should believe the best about those who profess to be our Christian brothers. So until we find out otherwise I’ll continue to believe the best. Anyway, so here we have this example in Ezekiel 4:6 that there actually is something as a day/year prophecy, so where does that take us? Well we do have one that is fulfilled in history which even my friend who I’ve been debating for a month now does accept even though he hasn’t admitted it – I haven’t entered it into the debate yet because we’re debating Daniels 70th week, and you know when you start adding other things in you just get away from the points of the current debate. What I’m trying to enforce on him in our current debate are two questions that he has yet to answer. Number one, to show me the gap explicitly stated in the scripture that he has allowed to be inserted into the Daniel 70 Weeks prophecy, specifically between the 69th and the 70th week, that’s one; The other impossibility, I’m calling it an impossibility because I don’t believe it’s there and I put out the challenge so many years ago, Show Me The Gap Chuck, remember that video I did way back in 2011 and nobody to this day has showed me the gap. So I’m beginning to believe that it isn’t there, that it’s an impossibility to show it to me. The other challenge on the 70 weeks prophecy is for him to explain to me how the Antichrist can be the antecedent for the “he” in verse 27. So he keeps obfuscating and digressing and trying to get me away from that topic, so I just keep coming back to it and he’s given me some, you know pretty wild and twisted conjecture, but none of it is satisfactory. So I keep coming back to it. I want something explicit. Now I know that the only qualifying antecedent for the “he” in the text of the 70 weeks prophecy is the Messiah who is named twice in the previous verses, and not an end time Antichrist who is named nowhere in the entire prophecy. But they want to put it on “the people of the prince that shall come” – well not the people because they can’t qualify as a “he”, because they are a “they” – but on the prince, the second person prince from the noun phrase “the people of the prince.” but that doesn’t work because I know in actual history when the temple was destroyed and that prophecy was fulfilled at 70 AD. So a guy that appeared in 70 AD when the temple was destroyed to fulfill that prophecy of the desolation of the temple cannot qualify as a yet future Antichrist under any circumstance. That just doesn’t work: so the Futurists have a terrible problem here which they refuse to acknowledge, but rather simply ignore. So those two points need to be driven home over and over again because you know if they don’t want to answer it then they have to accept that themselves, that, I can’t answer this, and hopefully if they’re honest they will consider tossing out their whole interpretation of Daniels 70th week, or try to make their futurists doctrines stand without twisting the Daniel 70th week prophecy. Yes they got gap-itis, because you know the truth is, if you can arbitrarily put a gap in Daniels 70th week prophecy – at the same time they’ll say there’s no gap in Genesis because they’re literalist and they believe that the six days of creation we’re literal six days – but if they have the right to arbitrarily insert a gap into the 70 weeks prophecy, well then don’t the Genesis gap theorists have the same right to insert a gap into the Genesis creation account? Yes they do! Yet they’re overthrowing the scripture themselves. So it plainly states “70 weeks are determined.” Well, 70 weeks is seventy times seven days which is 490 days, so it could have said, 490 days are determined upon thy people. But still here the way it’s conveyed to us as seventy weeks, perhaps may be part of a clue that it is not to be taken literally as a day for a day, but a day for a year. Because that’s what we’re trying to solve: how do we determine a year/day interpretation over a simple day/day interpretation? We do have one precedent where Jacob had to serve a “week” for Rachel, and that week was seven actual years, and even though it is not a prophecy, it may be applicable, as it is our only precedent. I also believe there are scripture prophecies that say so many days that are actually days, so we have to be able to differentiate. Some people just believe they’re all years, so we’ll talk a little bit more about that later. But right now we’re trying to determine the difference. Now we’ve all agreed, including my friend that I’m debating with, the Baptist, and the Futurists agree, even Talmudic Jewish or Orthodox Jews believe that the 70 weeks are not a literal four hundred and ninety days, but are four hundred ninety actual years. Just how do they come to this determination? And for my Baptist friend who seems to excoriate any such consideration, as he’s doing a whole series on the Error of Historicism, basically by his actual belief in the Daniel 70 weeks not as being 490 literal days, but accepting a year day interpretation, here he is actually depending on the historicist method of interpreting the Bible. Because that’s exactly what it’s all about. The only way we know that the Daniel 70 weeks are not a literal four hundred ninety days, but in reality are four hundred and ninety years, is because of history, and that is the very reason that our method of interpretation is called historicist, because we have seen it in history! Okay, so there’s his Error of Historicism: we look for fulfillment and verification of prophecy in history; so all of the futurists actually believe in that same historic method of interpretation because they believe in the Messiah, they believe that Messianic prophecy was given, and that it was fulfilled in the history that followed the prophecy. That is the very core of the historicist method of interpretation. So we know that the Daniel 70 weeks played out in 490 years, except for the futurists, who believe only 483 of the years played out in history. They accept the historic interpretation by the revelation, by the verification of history itself, but they don’t accept the last week as being part of the history – this is where they insert the gap so they can move the last week off to suit their Futurist scheme and uphold the Jesuit Ribera’s counter-reformation future Antichrist interpretation, whether they know it to be counter-reformation or not: They are doing the bidding of the Biblical and historical Antichrist. Now there are other prophecies in Daniel, you have one 2300 day prophecy, and the 1290 days prophecy, these are singular prophecies that are given once and are not matched anywhere else, nor do they seem to be joined or part of any other prophecy of the other prophecies with a named duration. Because there is a huge difference between a prophecy where you’re given a time frame, an actually named numerical duration for it, and prophecies where there is no named time frame or duration given, we need to be careful in making connections or jumping to faulty or specious conclusions. There is one thing that the Futurists use all the time, what I call a specious conjecture or comparison, because they’ll read something like where in the gospel Jesus stands up in the synagogue and he begins to read the prophecy, and he reads one part and shuts the book, and he says this day has this prophecy been fulfilled in your ears. But then the futurists they open the book back up and they continue reading where Jesus quit and they say well this thing that comes after what Jesus was reading was yet future, and we believe it to be even 2,000 years future, thus there is a gap here in the text! So, they reason that they have a precedent for inserting gaps where their favored interpretation may need one. Well whether there is a gap or not is not the point, the point is in the prophecy that Jesus was reading there is no timeframe or duration given for the several prophecies that are stated consecutively in that certain text of the Bible. So they don’t have to happen at the same time, one could happen here and then the next prophecy given consecutively could happen 2,000 years later because there is no timeframe given. But they say well that’s a gap, so because there’s a gap here between this prophecy and that prophecy, though God didn’t say this must happen consecutively or immediately after or within so many years as he does in the 70 weeks prophecy, we get to add gaps where we need them with the only reasoning being that we think they are implied though not explicitly stated. Okay, so you can’t compare apples with oranges and say they’re the same thing. That’s what I call a specious comparison. He however, keeps accusing me of grasping at straws because I’m grasping at, for instance, who is the proper first-person antecedent for “he” in Daniel 9:27? Because I’m looking for the proper antecedent in the text he says, that’s grasping at straws! But when he takes unrelated prophecies that are dissimilar, that’s okay? But I call that specious comparison, because that’s exactly what it is. Now if God gave a time frame for some prophecies and then later on explained that He broke the time frame up by inserting a gap, which would be His gap, a textual gap, that would be something to consider. But there’s nothing like that in the scripture; because God would not give us a time frame if the time frame was going to be violated. The prophecy would be wrong and God forbid that he would do that, and I can say He did not do that, but the futurists want to say He somehow did exactly that. So that’s a problem for the Futurist, but they do accept a year/day interpretation here for the 69 weeks of the 70, so they are accepting what is the core of the Historicist method, and that is that the prophecy actually happened in the time frame that it was given and it is verified by history, thus the historicist method derives its name from history – we saw it in history therefore we understand the prophecy is verified by history. Protestant Historicists do not rely upon speculation about the future. However, the very core of the entire Futurist interpretation is all speculation. 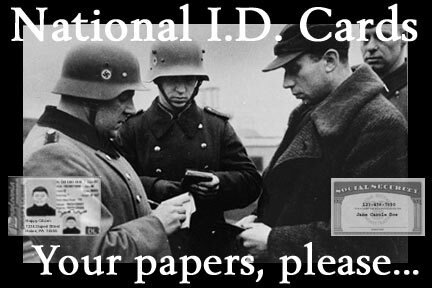 They don’t have to verify anything, there’s no burden upon them for verification, and you are simply required to believe what they’re saying because they’re right and anyone who does not agree is wrong, even though you may have verified in history what you believe, and the history has played it out. So they agree up to that point, to the 69th week of Daniel and then they throw the book out and say, well from this point on we’re going with total speculation and you’re wrong and we’re right! Simply put, that’s their whole point, but at the core of that I see one thing: an exoneration of the Roman Catholic Church from being the historical great apostasy that was foretold in the scripture, and a vindication of the papal chair from the seat of the biblical and historical Antichrist, the Man of Sin. Exactly the object and purpose of the Jesuit Ribera’s End Time Antichrist scheme! Well, let us continue with our year/day method of interpreting the Bible text and how we get our instruction from the Bible as to whether we may apply a year/day interpretation to a given prophecy. Everyone has agreed, I haven’t found anyone that does not agree that the 490 days of Daniel 70 weeks are to be interpreted as a day for a year, and rightly so, as I believe many of the disciples and first century Hebrews did in that day, I believe that they took their clue looking back and understood that the 483 years of the Daniel prophecy was about to be fulfilled and so we should do the same thing. We should understand that these may be determined as long periods of time and consider them as such. It is not an automatic error as our antagonist would have us believe. It is a right thing to do and we should do it, but how do we know for sure until history fulfills it? Okay now we could learn by going through the History Of Apocalyptic Interpretation looking at the early interpretation from all of the Church Fathers we know that they believed and their thesis was that the 1260 days was a literal 1260 days, not because they were futurists, but that’s what a lot of futurists try to impress upon us that the early expositors said this then, so they were futurists! But I say from reading the same texts, they were not, rather they were imminent-ists, they believed as Irenaeus, for example, and even most of the Apostles and the early apostolic church believed that Christ would be returning within their lifetime, or at least within a generation or two at the most. So when they read 1260 days there was no conception in their minds that they would be around for 1260 years. Therefore they were not Futurists as we name Futurists today, they were imminent-ist. They believed that the return of Christ to set up his kingdom was imminent, and what we’ve discovered is that some of them believed that they were near the end of the six millennia in the first century. Then when you get to the rise of Constantine and his war against paganism and the triumph of Christianity over paganism, what did the Christians think then? They thought, oh we’re now we’re entering into the millennial reign of Christ because Christ has been accepted by the government and now Christianity is sanctioned. But they were wrong, because about 300 years following came the rise of the Papal Antichrist, and some began to suspect that it may be 1260 years rather than days. You’ll see, because I read ahead in the book, History Of Apocalyptic Interpretation, and other related works, they begin to suspect, it began to dawn on them, we’re not in the Millennium, because now Bible believing Christians are being killed for their faith. So they started relating to that to the prophecy and then you come to the middle of the Reformation, and even the early Reformation and now some expositors are beginning to predict the end of the 1260 years. Some of those Reformers and Puritans of the 16th and 17th century nailed it. They nailed the end of the 1260 years about the time of the French Revolution and they were right because here comes the great judgement in the European theater, the whole of Europe was directly affected except for the 10th of the kingdom that fell away, that was the British Isles, the whole of the kingdom, the whole of the Holy Roman Empire was affected by the judgments that were spawned from the French Revolution and Napoleon who just ran roughshod over the entire continent, even on the seat of the Beast, Papal Rome and the Vatican itself. It was a terrible and horrific and duly extended judgment. And of course the prophecy continued to be right, and they repented not of their sins, of their idolatries and their sorceries and their murders, they repented not. So what do we have? We have continuing judgment, we have continuing wars through the 19th century, and in the 20th you have World War I and World War II etc. – these are continuous judgments because they’ve repented not of their the sins of idolatry and so on, and the judgment continues to this very day. So we now see that its plain the 1260 days are 1260 years, played out from the decrees of the Papal Reign beginning about the 6th century with the fall of secular Christian Rome to the ten Gothic kingdoms, until its prophesied judgment end. But the prophecy also states that the Papal Head still survives even though it’s wounded, it’s deadly wound is healed, but that’s a different topic for later. Okay, so we go back to the scripture in Daniel there’s the 1290 days prophecy, and I can find no evidence or any right thing to make me believe that this is years, as a matter of fact where I placed it is in my book, The Rapture Will Be Canceled, I considered that to be actual 1290 days. Now many of the Seventh Day Adventist and the Millerites who preceded them, that whole movement, well they were relying on a 2300 year interpretation for the 2300 day prophecy. Now I’ve searched it and I’ve studied it and I prayed about the 2300 days prophecy and I can find no end for the cleansing of the temple in history except in Ezra chapter 6, when the temple was rebuilt it required the cleansing of the temple before they could commence the sacrifice in the second temple. So I have to put the end there in literal days, but because I can’t quite decipher what the beginning of it was or it doesn’t seem to fit with the record of secular history as I know it, or as I’m able to uncover it, doesn’t mean that I get to turn it into 2300 years and make it end in 1844. Which is what the Millerites did, and then somehow they determined that Jesus would return at the same time: It was known as The Great Disappointment. When I read this text of the prophecy it is evident it had nothing to do with the return of Christ. That was just a total fabrication, assumption or speculation by the Millerites and others who said that Christ would return in 1844. But out of that movement came the Seventh Day Adventist Church and they said, Oh well, we were just wrong as to the event! Basically Christ didn’t return but instead, they said the temple was cleansed by Christ in heaven, and then they invented a whole new heretical doctrine, The Investigative Judgment, as a cornerstone of their new denomination, the Seventh Day Adventist Church. But see here’s the problem, here is where they diverge from historicism: In Historicism you look for an actual fulfillment in history to verify your prophecy, you don’t invent a fulfillment in heaven where no one can verify it! That’s not historicism and that’s why I say the SDA Church is not historicist and neither are they Protestant because they don’t believe that when Jesus said, it is finished, that it was finished because now they’ve got Jesus going to work in the in a temple in Heaven, cleansing the temple to continue the work of salvation. That’s why I call it a heresy, and I call it the transubstantiation of the Seventh Day Adventist Church! Come out of her my people, that’s what I would say, come over to true Bible interpretation and the true historic method. We should always look for fulfillment in history first, for verification, we do not go off first into speculation. There is a certain amount of speculation that may be necessary like those that were coming to the end of the 1260 years, the Reformers and the Puritans reasoned and actually wrote, well this was the beginning because we have a beginning point in history, so we can speculate an ending point. And they were correct, but they could not conceive it until they were well into or near the end of it, they did not just make something up out of whole cloth like the Seventh Day Adventist and Futurist. Because of this, I have to put the Futurists in the same class as the Seventh Day Adventists because their interpretation of the 2300 days prophecy as years, as being the cleansing of the temple in heaven, is total speculation, because we have no way of verifying it that can be shown in history books, because it is entirely speculation. So the same thing applies for Futurism because it’s always a future Antichrist, they don’t have to prove they are right because it’s speculation. But we all have to wait to prove them wrong, which is an impossibility. Say, what a comfortable position for the futurists and their speculation, we now have to wait for an actual temple or something like it to be built over in Jerusalem, before we can prove them wrong. 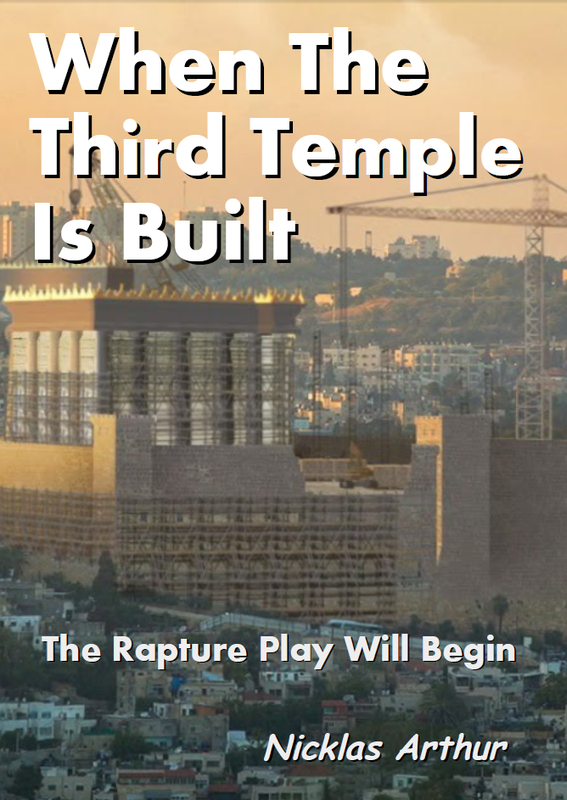 However the Futurist does have to ignore and deny any or all historical fulfillment which may have actually happened: first the actual rebuilding of the Temple at the time of Ezra must be ignored so they can place all of the rebuilding prophecies which actually preceded the Second Temple, onto a future Third Temple; next they must ignore or deny any and all fulfilment of the Daniel 70th week prophecy, in order to insert their gap. 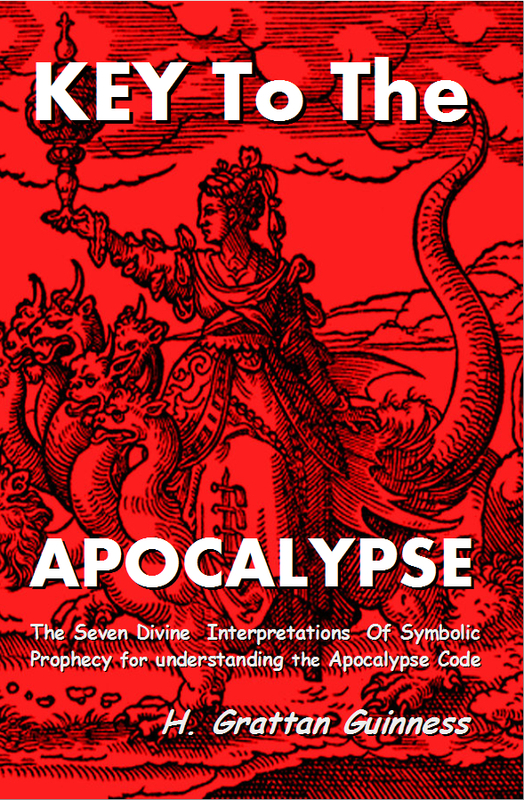 Thirdly they place another gap into the Revelation, claiming that it overleaps nearly 1800 years (so far) of Christian history and immediately jumps into a Jewish Prophecy of the final seven years before Jesus returns, a new and separated non-contiguous 70th week of the Daniel prophecy, rather than the actual 70th week which did follow the 69th. And it seems like the Futurists are going to get their wish, but if a Jewish Temple is built and nobody is raptured, because I don’t know how they’re going to pull that off. Wait! 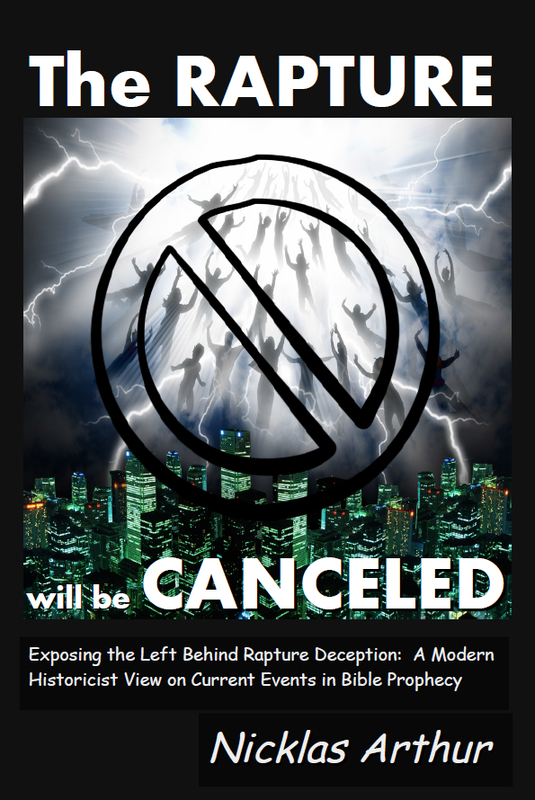 Oh they can wiggle out of that one too, when they start building a temple and the rapture doesn’t happen – see this is the beauty of their false interpretation, it practically seems diabolical, because when they start building a temple and no one’s raptured, they have two more positions for the rapture called the mid-tribulation and the post-tribulation. But I’m here to tell you that none of them are going to happen, none of the three raptures are going to happen. And I will stand on that as surely as I stood on the September 23rd 2017 prophecy, that no one was going to be raptured and it wasn’t going to be the end of the world, that it was a bunch of nonsense because you don’t interpret Revelation 12:1 by astronomy and the stars, rather than the method demonstrated in the Word itself! What is prophecy but history in advance? And that’s the very foundation of the historicist method of interpretation of prophecy. It’s just history in advance from the one who already sees the future as history. Yeah, we may be stuck here in time but God is not, to him it’s already played out, He already created the whole thing from the beginning to the end. Can you conceive of that? That makes it all history to God who already knows the end from the beginning. He’s already seen it all, to Him future is history, that’s why he is able to tell us about it, that is truly the cornerstone of the historicist method of interpreting prophecy. It is not the day year interpretation. We consider the day year interpretation just like the futurists do in the 490 year prophecy. They find a precedent of fulfilment in scripture and history there, the same way we do. I showed you the precedent there in Ezekiel, you only have one precedent for the day/year to the week prophecy of Daniel. So why is it now incomprehensible that we should consider a day/year for the 1260 Days of Daniel and the Revelation, especially when we see that it has played out in history, and what you know as modern futurism with an end time Antichrist scenario, I hate to tell you but it is the invention of a Jesuit priest, right along with modern preterism; okay, that’s modern preterism and modern futurism. Deny it if you like but you know it does matter and you can’t go back to Irenaeus because he was not a modern futurist he was a historical eminent-ist. He believed that the return of Christ was imminent, so naturally following the 1260 days had to be interpreted as a day for a day otherwise the return of Christ would not be imminent. How could we expect otherwise? 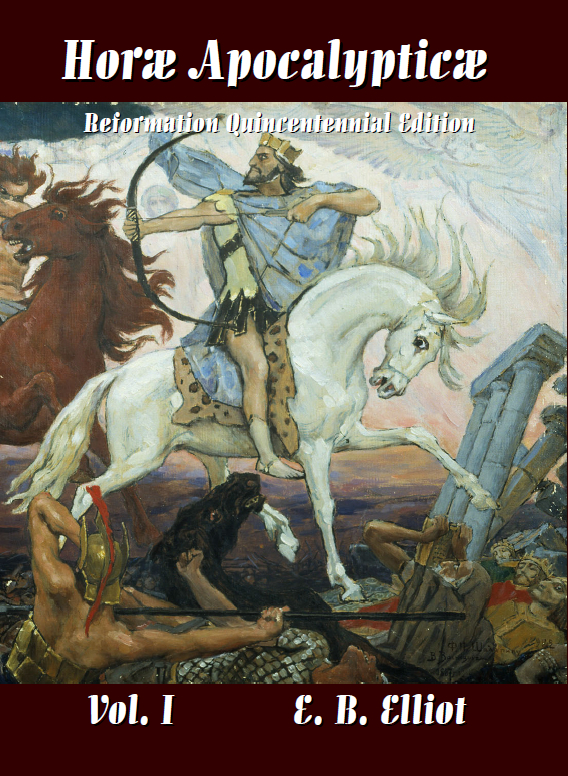 We already discussed those things that Irenaeus believed, we don’t gloss over them or try to hide them, or only expose what holds up our interpretation, because by reading the entire History of Apocalyptic Interpretation we get that circumspect view and a clear understanding. We don’t just look for things that uphold our view, because Irenaeus was wrong on a lot of things. I would have been wrong on a lot of things under the same influences that he was under: But that doesn’t mean that he was apostate – because I keep being accused of being a liar and apostate and a heretic continually because I don’t agree with the unkind futurist. They’re not very loving, or forgiving, or understanding. I try to show them in the Bible how I come to my determination, and to say, please admit that at least you can understand how I would come to my determination by history together with what the scripture plainly says. Yet they refuse to even consider that my interpretation may be viable even if they think theirs is more viable, I call that blindness, but I understand the blindness because I lived it. I mean it was 20 years ago when I discovered that the pre-tribulation rapture was wrong when I couldn’t find it in the Bible, and I moved to the post-tribulation to position, but then about 14 years ago I decided to dig deeper, and I began to discover that the whole seven-year tribulation was a deception, and none of the raptures were good, and that if they did get to play this thing out with a rebuilt temple, that the entire seven years would go by and no one would be raptured at all. So if I may speculate: Then the true Antichrist will stand up and say, see we were right all along. He wouldn’t say, because you believed our lie that we created for Protestants, to vindicate us, the Roman Catholic Church from being the II Thes. 2 great apostasy in history, and to vindicate the papacy as being the seat of the Biblical and historical Antichrist, he won’t say that part, even though it’s true. They’ll just say, we were right all along, and you guys believe in the millenarian heresy. Christ isn’t returning for a millennial reign, Christ has put me here, that’s what the Antichrist will say, put me here, the papacy here, the Roman Catholic Church here, to reign and bring in peace for a thousand years! Stick around, when they start to build that temple we’ll be here 8 to 10 years later, maybe then you’ll see. But please open up your eyes and look soberly at what I am trying to expose now, and maybe avoid some pain and suffering in the long run. Have you ever considered a combination view between preterism, historicism, futurism and poemicusm. That is exactly what I find in Historicism – the past, the future and biblically defined symbols woven into to history, in advance, prophecy. Good article. Well worth the read.